It is with regret that the Club has to announce the death of Life Member, Terry Sanger, on 14 August 2013 age 79. Terry was elected a Full Member in 1973, becoming a Life Member in 1994. 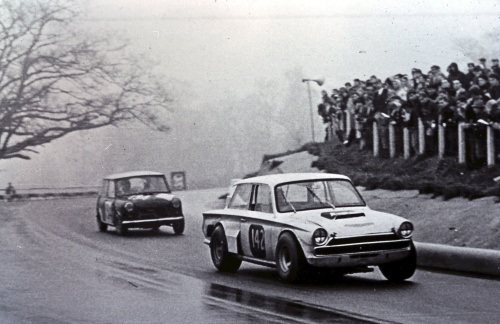 He first came to prominence on the national racing scene in the 1960s with a Ford Cortina V8 shod with outrageously wide wheels and tyres with which he won the Redex Saloon Car Championship before progressing to the British Saloon Car Championship with first a Ford Falcon and then a Chevrolet Camaro. The Club has sent condolences to Terry’s wife Dianne and children, Tim and Jenny. The funeral will take place on Tuesday 27 August at 2pm in Narberth, Pembrokeshire and a memorial service is to be arranged for a later date.